Located in South Lakewood, Javatinis Espresso & Gelato is very passionate about coffee. We are a micro-roaster and all of our coffee is freshly roasted each day, from the finest selection of coffee beans in the world. 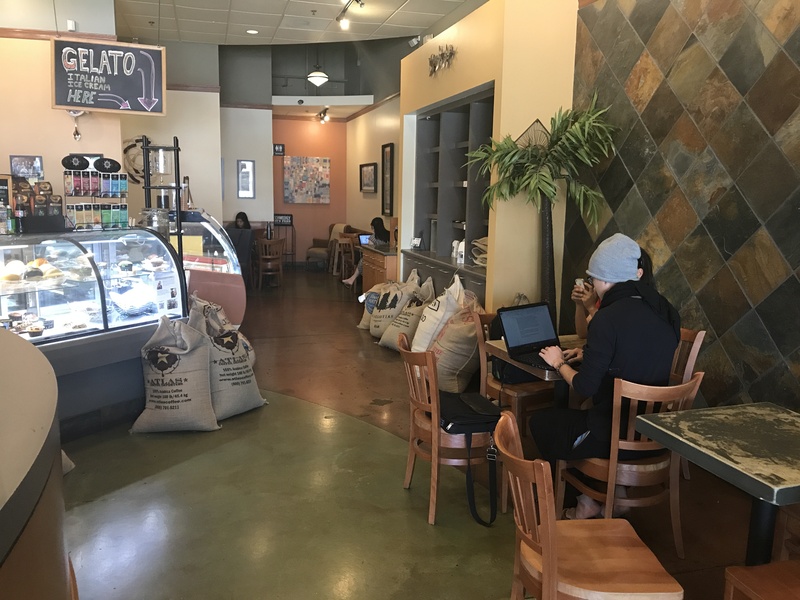 Our friendly, highly trained Baristas prepare the highest quality lattes (with a creative "latte art" design), Italian espresso and cappuccino drinks, in your choice of hot, iced or blended style. Our Gelato (premium Italian ice cream-lower in fat and calories) is creamy and flavorful. Breakfast is offered every morning and the menu includes: egg/cheese sandwiches (buttered and seasoned-prepared to order) fresh pastries, bagels, croissants and organic oatmeal. Our customers enjoy free Wi-fi and satellite radio. Come in and experience "Simply Great Coffee".